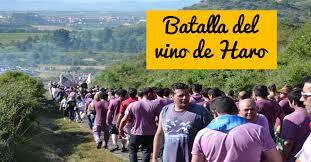 The Wine Fight takes place on the 29th of June each year in La Rioja, Spain. 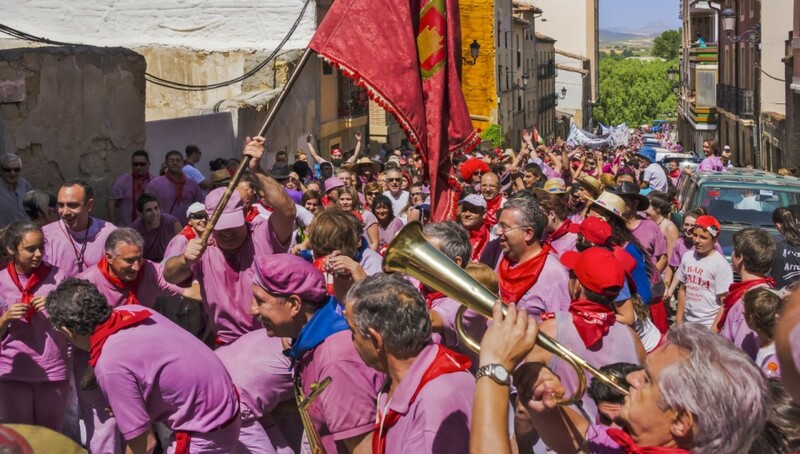 It makes sense then that every year the locals of Haro celebrate San Pedro with the Haro Wine Festival, a week of drinking and music that is now world famous due to the Wine Fight (Batalla de Vino). This party gets started early and the people of Haro don’t mess around. We are talking 7 AM, sharp! The mayor leads a procession on horseback, followed by a crowd comprised of all (legal) ages, led through the town. You don’t come empty handed to this wine war, and your weapon is a traditional bota bag, a traditional Spanish leather wine satchel lined with a goat’s bladder. Sling it over your shoulder and you have easy vino access all day. The power of the bota is its ability to be squeezed to jettison streams of red wine as far as you can shoot it. You might also see squirt guns, spray misters, and wine-filled balloons. We say go local and use a bota, but not until a ceremonial Mass takes place at the Hermitage of San Felices de Bilibio. Amen and Hail Mary! At the Hermitage, there’s a building group of people, wine and wine inebriated people. After mass the crowd lets loose, flinging the wine around in every direction. The best way to appreciate it is to soak it all in–literally. Your white clothing will transform into a purple that will resemble your lips. The battle ends around noon, when the crowds are totally drenched, exhausted, and intoxicated. 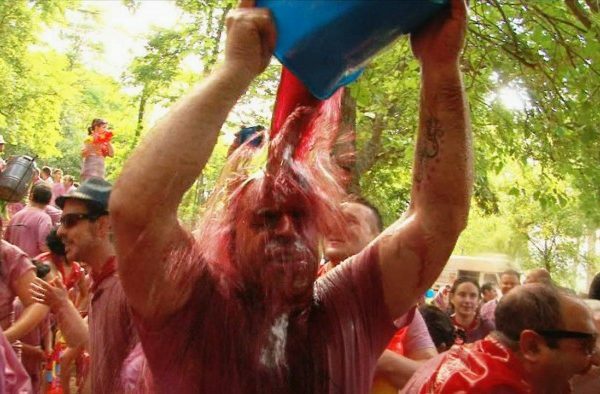 Every year, approximately 50,000 liters of Riojan wine bite the bota bag. Survivors drag their purple pants back to the Plaza de la Paz (“the Square of Peace”) for a not so peaceful offering. 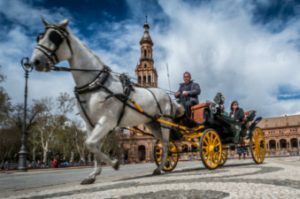 The evening bullfights take place in the town’s local ring, leaving the youth to demonstrate their agility and bravery amongst the local heifers. Locals want to make sure they aren’t cow-ardly and go mano-a-mano in the ring with the heifers. It’s not a fight to the death, but to mostly laugh at the youth filled with liquid courage getting trampled by the smaller vaquillas. Just when you’ve had enough out comes more wine and tapas to finish off your day. 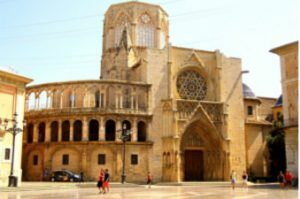 Large bonfires go up and the rest of the day is spent eating and drinking in typical Spanish fashion. While the wine battle is just a day, this part of Spain is beautiful and worthy of a extra day or two to either rest up, or nurse your hangover in the countryside. Haro, a charming town in Spain’s La Rioja region, celebrates this luscious libation.